How long can the art market boom last? Historically, the overall trend is upwards, but not for everyone and not always. New York, May 13 2014: as afternoon turned into evening, limousines lined up outside Christie’s Rockefeller Plaza headquarters. Elegantly dressed visitors made their way past Marc Quinn’s eye-catching sculpture of supermodel Kate Moss twisted into a gravity-defying yoga position, their attention focused on the evening ahead. Could the art market also continue to defy gravity and climb even higher than it had already? Six months earlier, in November 2013, Christie’s had pulverised market records with a sale of contemporary art that totalled $691.5m – the highest for any auction. It included a new high for any work of art at auction, when Las Vegas casino billionaire Elaine Wynn spent $142.4m on Francis Bacon’s “Three Studies of Lucian Freud”; and a new record for a living artist as Jeff Koons’ shiny orange “Balloon Dog” romped to $58.4m. On May 13 the saleroom was packed. All the regulars were there: Larry Gagosian, kingpin of art dealers; members of the Mugrabi family, traders with a massive position in Warhol and Basquiat paintings; François Pinault, luxury-goods mogul, owner of Christie’s, collector, and founder of two museums in Venice. And the glitterati, too: designer Marc Jacobs; Olivier Sarkozy, half-brother of France’s former president Nicolas, snuggling up to his fiancée, the actress-turned-fashion designer Mary-Kate Olsen. And, above the main floor, in “light-boxes” or private rooms with a view of the action, were the players who wanted to see but not be seen. The sale started in high gear. Lot eight – a lucky number in China – was “Poisson Volant”, a mobile by Alexander Calder swinging lazily above the room. Christie’s Hong Kong-based Asian business development director Xin Li, bidding on behalf of Asian clients, beat out Gagosian to pay $25.9m – almost twice the estimate – after a dogged battle. The records piled up: a word painting by Christopher Wool at $23.7m, a Barnett Newman at $84m: as the sale progressed, even seasoned dealers were stunned. “Holy moly,” whispered dealer and collector Adam Lindemann to his neighbour as a Warhol White Marilyn zipped to $41m; by the end, the sale had totalled almost $745m – the highest-grossing ever. Those of us who have worked in the art market for many years find this new world almost unrecognisable. I started reporting from Paris in the 1980s when Van Gogh and Renoir were fetching the highest auction prices, and a top art fair was the Biennale des Antiquaires, featuring Louis XV ormolu-mounted lacquer commodes and Sèvres porcelain. Impressionist paintings were must-haves, particularly during the hysterical years at the end of the decade when Japanese buyers drove the market to frenzied heights, only for it to collapse after Iraq invaded Kuwait in 1990 and the property market tanked. In the late 1980s and early 1990s contemporary art was hardly sold at auction. While there was a brief “greed is good” interlude in the 1980s – when Julian Schnabel and others enjoyed superstar status – this ended with the 1990 slump. The art world was mainly US- and EU-centric: Chinese art mainly meant Ming porcelain, Indian art Mughal miniatures. Communism or dictatorships closed off Russia, China and Latin America from trading much in art. The Gulf states were not on anyone’s art radar. In 1995, when I moved to Japan, the country suffered the twin blows of the Kobe earthquake and a terrorist attack in the Tokyo subway. The country’s miracle period of economic growth was over and I watched as banks tried to offload the massive inventory of paintings bought in the “bubble” years, often selling works at a tenth or less of the prices they had previously paid. Back in the UK in 2000, I saw the first dotcom boom collapse, sweeping away early adopters’ predictions that the internet would propel the art market upwards by finding new buyers around the world. Then, from 2004 onwards, it all changed. The market for contemporary and modern art began to grow powerfully, barely flinching after the 2008-09 global crisis. It has continued to grow, galvanised by new players, from giant art fairs to massively rich new collectors and emerging economies, as well as changing roles for auction houses and galleries. In my new book Big Bucks – The Explosion of the Art Market in the 21st Century I look at how this happened. One of the biggest changes has been the transformation of the auction houses into international “art businesses”, offering a range of services that increasingly encroach on art galleries’ traditional turf. Then there’s been a polarisation of art galleries into a few huge operations straddling the globe – and the rest. Faced by the challenge of these mega-galleries that poach their successful artists, and from auction houses that, increasingly, are selling works of art privately or through dedicated sale outlets, the smaller galleries find it hard to survive in this climate. As some smaller galleries have closed, behemoths such as White Cube’s Bermondsey space or Hauser & Wirth’s Savile Row premises have put on big shows as well as supporting exhibitions in publicly-funded galleries. Another change since the beginning of this century has been the explosion of contemporary and modern art fairs. There are more than 220 major ones, with new ones being announced all the time, notably one in Los Angeles in 2015. They, and the 100 or so biennales that are often also partly selling events, have expanded the market, as well as providing a seductive event-driven lifestyle. The influence of new buyers from emerging economies, particularly from China, Russia, Qatar and the United Arab Emirates, has upended the traditional landscape of collecting, formerly dominated by the US and Europe. A new army of intermediaries – called “art advisers” – help collectors negotiate the art world, providing necessary “access”, which means being allowed to buy the work of the most sought-after artists. Most of us can’t walk in and buy a well-known artist’s work. The gallery will want to “place” the work in a good collection or museum, and prevent it being resold quickly for a higher price. Then there are independent curators who have carved out a new role putting together shows for biennales, galleries and individuals. Their influence on what is good art today has to an extent replaced the artistic agenda once set by museums and art critics. My researches also took me into the underbelly of a largely unregulated trade in art, where opacity and secrecy make it a fertile terrain for questionable deals. (Some drug barons will accept a painting rather than money; by reselling the art they pocket a “clean” sum.) And art – transportable, difficult to evaluate – is handy for tax evasion as well. 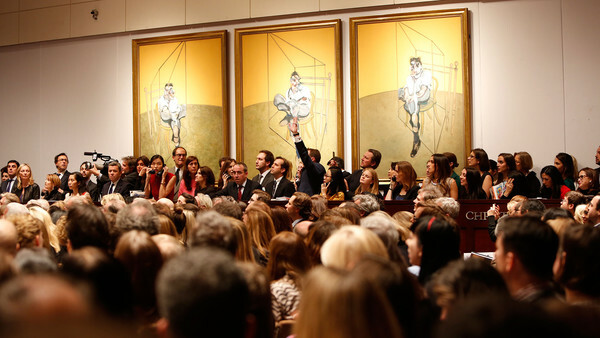 A key factor in the art market boom is the growth of global wealth. In 2013 there were a record 2,170 billionaires in the world, according to research group Wealth-X, and many have founded private museums or art spaces. Many of the new super-rich are far younger than the collectors of yesterday, and their tastes influence the high-impact immediacy of much contemporary art. The new collectors need living artists to keep the fairs, auctions, galleries and biennales afloat with new creations. In contrast, there is a shrinking inventory in other sections of the market, be it impressionist painting or Renaissance sculpture. The top works are in museums or in major collections. New buyers, however deep their pockets, would find it near-impossible to create a museum of anything except contemporary art. The boom at the top isn’t, however, trickling down to all artists: according to Clare McAndrew, who runs research and consulting group Arts Economics, high-end dealers report that top collectors are only interested in the work of 50 to 100 artists, overwhelmingly modern and contemporary. One dealer told me that the “conformity in the global market today [is] due to the internet – everyone wants the same few things”. While art and money have always been linked, there is now greater convergence between the worlds of art and finance. In the sale described at the beginning of this article, 40 of the 72 lots carried some sort of guarantee, with 29 financed by Christie’s and 11 by unidentified third parties. This meant that more than half of the lots were presold at a secret price – the only question was whether another buyer would put in a higher bid. The auction houses say that by taking any risk out of the auction, they attract consignors who otherwise might hesitate to send something to auction in case it is “burnt” by not finding a buyer. The guarantors are happy to acquire the art at the price they set – or they get a cut if it sells for a higher price to someone else. Though guarantees have been around since at least the 1950s, they have been a key element in inflating recent prices. Also driving them up has been the phenomenon of speculators “flipping” works by young artists, buying massively into a first show and then put the art into auction for sometimes high returns. The film producer Stefan Simchowitz is reported to have bought 34 paintings by the Colombian Oscar Murillo for a total of about $50,000 early in the artist’s career: the works now make up to $400,000 at auction. Everyone wants to know whether this market is a bubble and, if so, when it will burst? This seems unlikely to happen any time soon: the sheer amount of global wealth; the massive museum-building programmes; the positioning of art as an element of the celebrity and fashion worlds, and the seductive lifestyle the art world offers are all very attractive to the super-rich. But I like to keep in mind what the Chinese say: “Trees can’t grow as high as the sky.” All markets are cyclical; the art market has had booms and busts before, for example, during the armed conflicts of the 20th century, in the 1970s and in 1990: each time mirroring the global economy. There are parallels between this situation and the art market in England between 1860 and 1914, “the golden age of the living painter”, according to art historian Gerald Reitlinger. It was a time of rapid economic growth thanks to the technological revolution, and new patrons of art came from these manufacturing and trading fortunes. Long’s prices did collapse, along with those of many Victorian artists. The first world war and the Great Depression would end that boom. How will today’s art stars fare in the future? Major political upheavals or financial problems inevitably have an impact on investment and the art market cannot be immune. Almost all the huge prices are, however, being made as a growing pool of ultra-rich buyers battles for a small number of brand-name works. There is a vast hinterland of good art by creators whose names will never be widely known and whose works will never achieve such heights. The overall trend of the market is upwards, historically, but not for everyone, and not always. Marc Quinn’s “Myth Venus”, the Kate Moss statue outside the extraordinary Christie’s sale, made $1.3m at auction last month but it is impossible to predict whether the empty-eyed beauty will turn out to be a good, bad or unremarkable investment. Georgina Adam is art market correspondent of the FT and art market editor-at-large of The Art Newspaper. On June 20 she will speak at the Victoria and Albert Museum, London, about her book ‘Big Bucks: The Explosion of the Art Market in the 21st Century’ (Lund Humphries) published later this month.